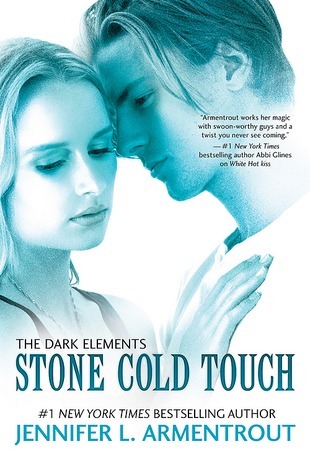 My WoW for this week is Stone Cold Touch, the second book in The Dark Elements series by JLA. YES! DYING for this one! I've been considering reading this series, I love the Obsidian books. Sounds intense! Thanks for sharing, and enjoy! You're gonna love this one, Sharon! It's soooo good! I love that Armentrout is going back to what she does best, which is definitely YA paranormal. I just got the last one in her Lux series and I'm looking forward to it, but once that's done, I'll need something new. I haven't read any of her other books so I don't think I'll be picking this one up but I hope you enjoy it! I love JLA's YA books! I haven't started this series yet, originally I thought it was NA (the covers are a little misleading). Definitely will have to start White Hot Kiss soon. Hope you love Stone Cold Touch! I am so behind on all things JLA..and this sounds so good! I haven't actually read any JLA's books yet D: /runs and hide. But I've heard a lot of awesome things about this series! Hope you enjoy it when it comes out, thanks for sharing!